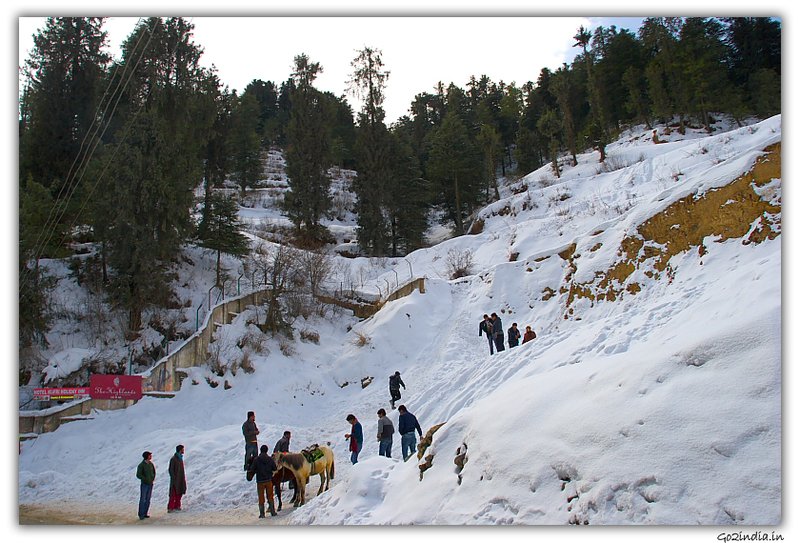 At a height of 2165 meter this small town in Himachal Pradesh is at a distance of 176 KM from Simla. From this town the snow peak of Shrikhand Mahadev is visible. Bhima Kali temple is the main attraction of Sarahan. 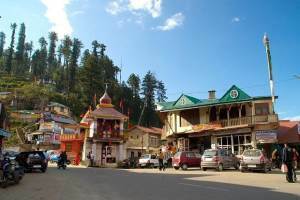 You have to drive up to Jeori on National Highway number 22 ( NH 22 ) from Shimla and then take a right turn and climb up nearly 17 KM to reach Sarahan. 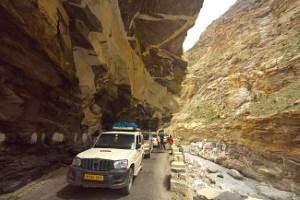 If you plan to reach Sarahan in same day then It will take 6 Hours to reach Sarahan from Shimla including breaks for breakfast and lunch. 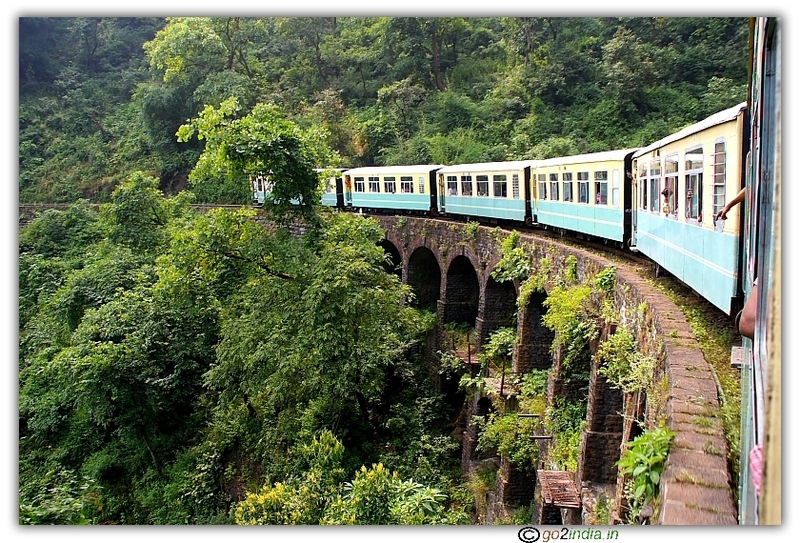 On the way to Sarahan you can take a day break at Rampur or at Narkanda and reach Sarahan in 2nd day. One night stay is recommended at Sarahan. 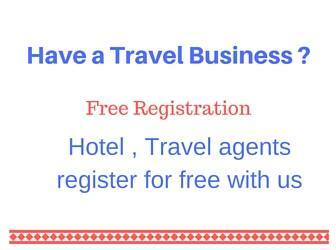 There are many hotels available at Sarahan. 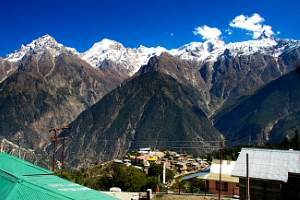 HPTDC ( Himachal Pradesh Tourism Development Corporation ) hotel Srikhand is the best hotel and is located close to the temple. For booking you can get the details from HPTDC hotel booking here. 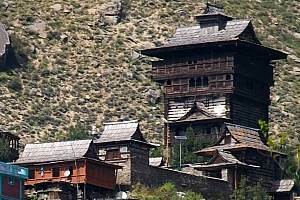 You can stay at Bhimakali temple complex. There are rooms available at a cheaper price. Avoid ground floor and take a big room at first floor. At rate of Rs 200/- dormitories are available. This multistoried temple is the main attraction of Sarahan. 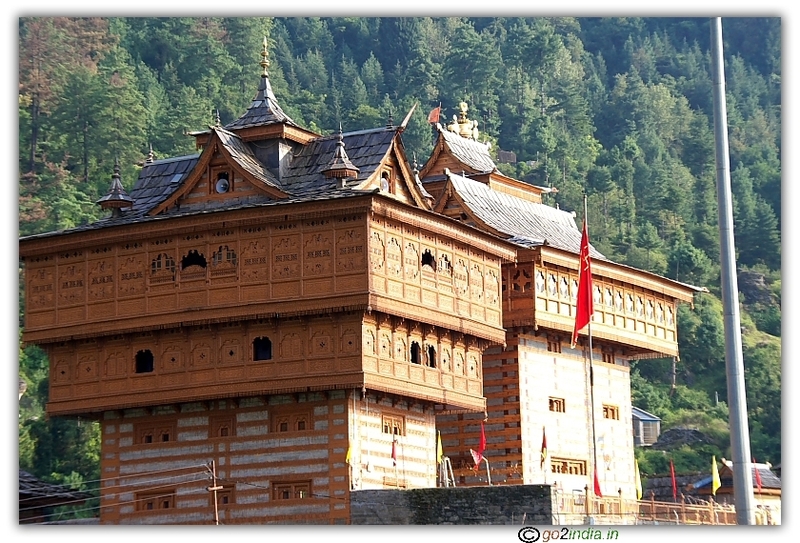 Unique architectural design on wood gives a different look than traditional temples of India. Goddess Bhimakali temple is one of the Shaktipeeth of India. There is no entry fee and except the main structure all other places you can take your mobile phone and cameras. Before entering to main complex you can keep your camera, purse and mobile phones in lockers available. You can keep the key with you while you are inside the main complex. Before entering the main complex, all has to cover their heads. There are cloth caps available for use if you don't have anything to cover your head. These caps are available for free on returnable basis. There is a helipad in this small town. Morning you can walk down upto a view point located in an isolated place. This view point is visible from the Sarahan town. On the way to this viewpoint you can visit pheasantry ( Monday Close ) and a beautiful stadium. 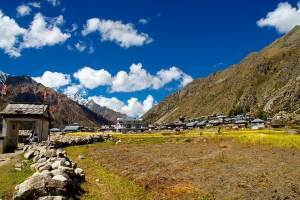 If you are covering these place in vehicle then within one hour you can return to Sararahan. On the day of Dussehra in afternoon a village festival is organized. This Dussehra festival starts from Dussehra day and continues for four days. In the afternoon around 4 PM village goddess one by one starts coming to the temple complex. A small wooden chariot was decorated for this purpose and around 5 PM the pulling of chariot was started. The goddess was taken to another small temple located at distance of nearly 500 meter from the main complex. All traditional long trumpets , drums and decorated horses were used in the procession to take the goddess in the chariot. Many villagers join this festival in the afternoon of Dussehra day. 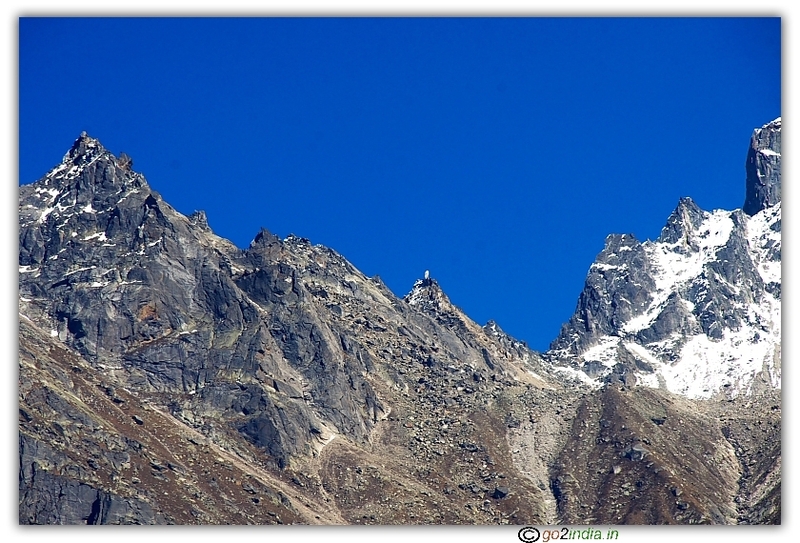 Airtel , Reliance signals are available along with BSNL which is available on almost all remote parts of Himachal.